During one's journey from mother's womb to the last breath of life towards God, Vedic rituals are to be performed at the appropriate time, for a particular life event, to achieve great punya in one's life time and for the next. The present day time-starved busy life style does not allow many to preserve the teachings and Vedic rituals which are meant to be religiously followed to lead a peaceful, blissfully happy and prosperous life, facilitating a very content material life and to awaken and advance the soul towards spiritual upliftment. Vedic rituals are being performed at the Temple daily with the prime goal of your peace, happiness & satisfaction in your life, for special days of your life & your time of emotional, physical & financial struggles. You may e-mail the personal information required for this pooja: your Name, Gothram, Nakshatram. If you are not aware of this information, we can determine it if you provide your date of birth. On the important day of your life, you are welcome to personally attend the ritual. If you cannot join us, the Center can include your name during daily rituals at the Center & mail the prasadam to you. On appointment, the priest can perform the pooja at your preferred location. For providing your services & benefits, donation can be offered to the Center & dakshina to the Priest. May God Bless you, your family & the entire humanity. We perform all kinds of Parihara Pooja, all kinds of parayanam and japam, all kinds of Yantram, Mandalams. Srimad Bhagavad Gita verses 3.13 & verses 17.8,9,10 explain the nature of food. In summary, it reiterates the adage, "You are what you eat". In essence it says that the food that is offered to the Lord or consumed must be pure and must be sattvik in nature. Also food is something that brings people together. SBAT is pleased to offer the devotees food prepared at the temple for the private religious events at temple, a pooja at home or even for your special occasions. Temple Never Use Onion and Garlic. Minimum Notification for Placing Prasadam Order is 5 days. Minimum Order amount is $120. We provide traditionally cooked Religious Authentic food for various occasions and religious events. Step 1: Send an email to prasadam@sbat.org with your Name, Address, Phone Number, Order Date/Time and Menu Details. Please do mention pickup or Delivery. Step 2: You'll receive an order confirmation email from the Temple. Your order will be finalized, only when you acknowledge this email. In the recent past, the Temple has been receiving numerous requests to publish a rate chart for various Pooja services being offered. Our Temple’s motto has always been that the Devotee should only have the “WILL” to do the Dharmic activity and concern for the “BILL” should be the least. Due to this practice, many devotees have been developing guilt of short-paying for services. Based on increased demand, the Temple Management has decided to publish list of Suggested Donations for various Pooja Services offered. You can offer 51 or 108 counts Vadamala for Lord Anjaneya. Temple needs at least 2 days of notification for booking a slot. Every day we have 3 slots available at 7:00PM. 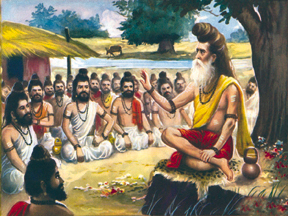 The temple spearheads in promoting the learning of our scriptures and Sanskrit language. Classes are held regularly to teach children and adults various slokas, stotras, Ramayanam, Bhagavatam etc. Also regular Sanskrit classes and workshops are organized in the temple for children and adults. The temple has plans to start Music, Dance, Indian languages classes in addition to the academic related classes for students in the future. Please contact the temple manager at (301) 576?3277 or email sbat@sbat.org for more info. SAMSKRITAM CLASSES (CHILDREN) WEEKLY ON SATURDAYS BETWEEN 5:00 PM - 7:00 PM CONTACT YOUTHSENA@SBAT.ORG FOR ENROLLMENT DETAILS. SHLOKHA CLASSES (CHILDREN) WEEKLY ON SATURDAYS BETWEEN 5:00 PM - 7:00 PM CONTACT YOUTHSENA@SBAT.ORG FOR ENROLLMENT DETAILS. 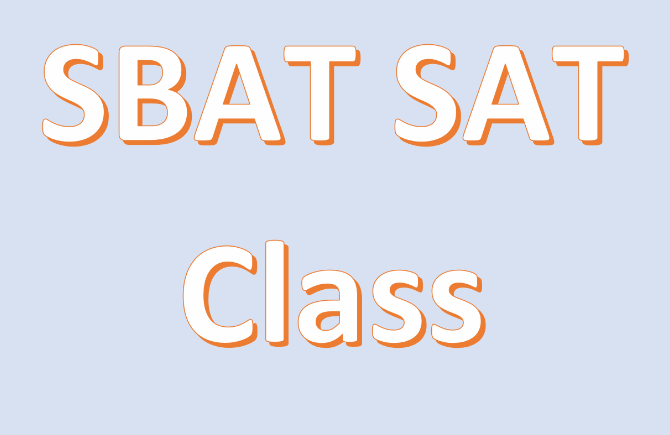 SAT CLASSES CONTACT SATCLASS@SBAT.ORG FOR ENROLLMENT DETAILS. SBAT operates on the principles for Vasudeiva Kutumbakam - Universal Family. The temple organizes many social welfare events like cooking food for the homeless as a part of the DC Central Kitchen, donating materials to various local food banks, providing material and monetary support for various disasters reliefs including the Super Storm Sandy Relief, Kashmir earthquake relief, Kedharnath flood relief efforts etc. SBAT believes that the cultural events provide a learning experience for future generation on our traditions. The temple provides a platform for many music and dance teachers and students alike by encouraging them to participate and showcase their talent in our various special poojas. The temple organizes special concerts on the 1st Saturday of every month to encourage and nourish the local pool of talented and budding youngsters. In addition to that, Namasankeertanam and bhajans are organized every 2nd Saturday in our temple to spread our bhakthi culture and tradition. Please contact the temple manager at (301) 576?3277 or email sbat@sbat.org for more info. Nadaswaram is part of the family of instruments known as 'Mangala Vadya' and is considered to be very auspicious. Our Temple offers professional Nadaswaram services for all religious / cultural events both with the Temple and outside. Travel and Lodging is Devotee / Organizers responsibility. Check should be drawn in favor of "SBA Temple. Memo "Nadaswaram" All donations towards Base Rate are eligible for Tax Deductions. Please contact the temple manager at (301) 576?3277 or email sbat@sbat.org for more info. This temple is known for bestowing better health to the devotees. The idol is believed to have special power and is considered a healer. The main Temple building has path-ways all around the sanctum sanctorum and also a large covered space (Mandapam) for devotees to assemble in front of the Lord for offering worship. On the North-West corner, a full-fledged Sannidhi for Sri Rama has been built and here He has taken abode with Seetha and Lakshmana with Anjaneya in attendance. The Gods are facing East. Rama's role as the protector and ruler is signified here as Rama is seen carrying his bow, hence the name "Kothanda Rama" for the Lord here. Flight Travel have flex time 12:00AM to 12:00AM. Travel time included on hourly rate. Taxi charges is not included. 2019. Sri Bhaktha Anjaneya Temple (SBAT).All rights reserved.